In advance of today's earnings call, RIM announced that co-founder Jim Balsillie has left the board of the company he built. Balsillie is one of three high level executives to announce a departure today, along with the CTO of software and COO for global operations. It's bad news in advance of a grim earnings report. According to the release, revenue for the fourth quarter of fiscal 2012 was $4.2 billion, down 19% from $5.2 billion in the previous quarter and down 25% from $5.6 billion in the same quarter of fiscal 2011. The revenue breakdown for the quarter was approximately 68% for hardware, 27% for service and 5% for software and other revenue. 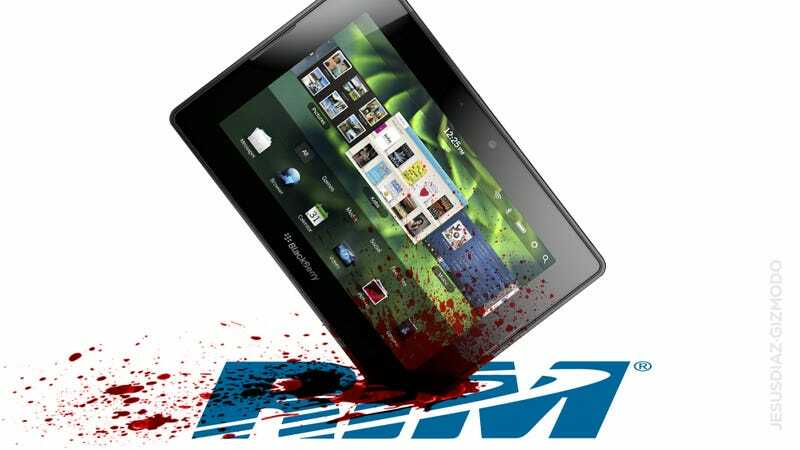 During the quarter, RIM shipped approximately 11.1 million BlackBerry smartphones and over 500,000 BlackBerry PlayBook tablets. That's a huge drop in revenue, and a 23 percent drop in smartphone shipments from the previous quarter. It's making for a not-too-fun earnings call. To stop the bleeding, the company says it is moving away from media consumption and apps and back to its core business. "We believe that BlackBerry cannot succeed if we try to be everybody's darling and all things to all people," said the company's new CEO Thorsten Heins. Which means a move away from media consumption and a bolstering of the enterprise offerings that gave RIM a foothold in the first place. There are three ways this plays out: One, RIM miraculously turns its business around, on its own, on the strength of its BlackBerry 10 platform. That's unlikely. Two, RIM sells itself for spare parts. That's also not probably, but it's not outside the realm of possibility; Heins today said that the company "would consider" an outside acquisition, even though it's not the main focus of the company's strategic revue. And the three: RIM continues to piddle along, awash it its irrelevance, until its debts outpace its revenue and it goes belly up. Any of these scenarios is at least a year away from playing out. In the meantime, expect more calls and earnings announcements like this one: We are losing. We are trying to win. We're not sure we can.